Comment: I have an area in my backyard (dog run), that currently has a chain link fence. Iâd like that fence replaced with a wood picket fence. Comment: Wooden fence alomg the driveway retaining wall is sagging and buckling will need to be reinforced or replaced. Comment: Several slats need to be replaced and a 5-6 foot section needs to be replaced so a protruding tree root can be removed. Comment: Buying a home and looking for a fence to keep dogs in the yard. Really rough estimate of yard is 40â on two sides and 85â back. Like scalloped look, but open to other ideas. Comment: Several split-rail wooden fence post need to be replaced. One broken by tree branch during storm. Henrico Fence Contractors are rated 4.71 out of 5 based on 644 reviews of 29 pros. 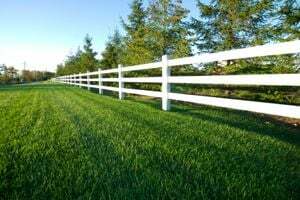 Not Looking for Fences Contractors in Henrico, VA?